Kaiwei Tang has ten years of experience in product design and development in the mobile phone industry. As a project lead, he has traveled around the world to bring over 12 cellphones to life. Kaiwei’s background includes a Master of Design Methods from IIT Institute of Design and an MBA from IIT Stuart School of Business. His belief in the importance of human-centered design brought him to ID. 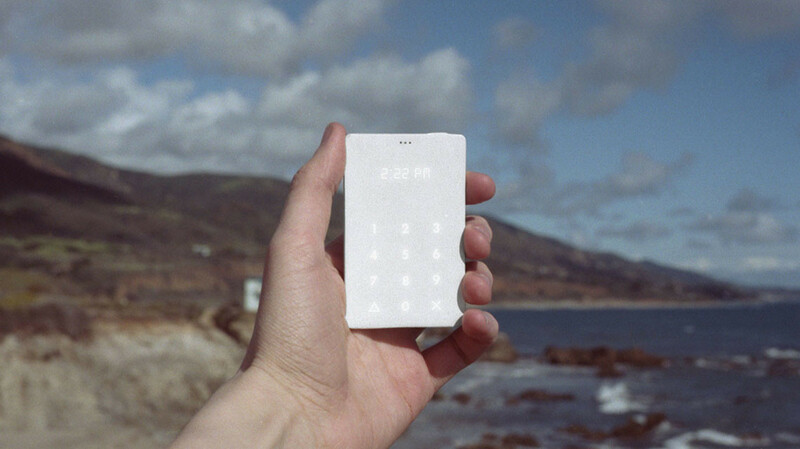 The Light Phone is attracting a lot of attention from journalists, blogs, the tech world, designers, and people just looking to get off the grid. Did you anticipate generating this much buzz? Joe Hollier and I have been doing field tests and interviewing people for the past 8 months and received mostly positive feedback. We were both in a Google incubator where we pitched every week to designers, start-up founders, industry experts and others. I would say we felt confident but cautious when we launched the Light Phone campaign. We thought there was a need for people to disconnect, but we didn’t know it would catch fire and spread so fast globally––we are very surprised that we have so many international backers and so much press. It’s unbelievable how many people resonated with the problem of being overly connected and are eager to bring a little humanity back to technology. 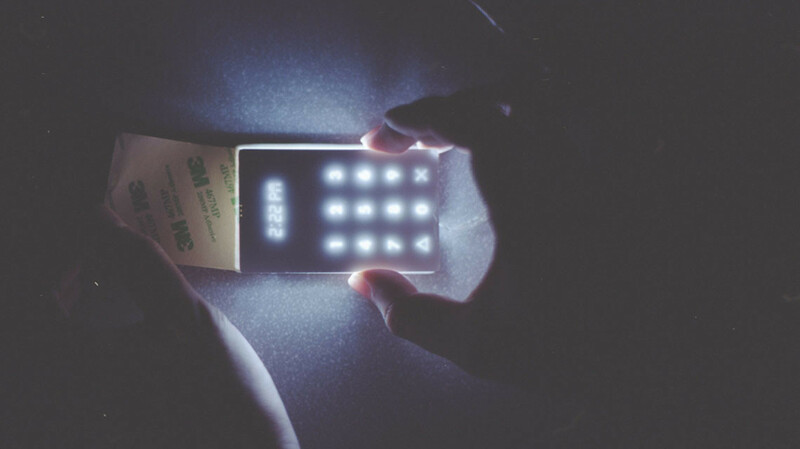 What was your inspiration for creating the Light Phone? The first catalyst was joining the 30 Weeks incubator, which meant quitting our jobs and trying to start something new. We were seeing all these things people were building like apps, wearables, and smart Internet of Things and they were all claiming to try to “give you your time back, give you your life back,” but I just don’t feel like that’s the case. All those devices are designed to get your attention and connect you to everything, every event and news, and information that you don’t really need, at least not all the time. I feel like our mind and attention are always somewhere else, but what about the things happening around us? What about our train of thought or focus? Or the person you care about the most sitting right next to you? It happens all the time that people sit right next to each other in a restaurant and make no eye contact or conversation because they are both on their smart phone sharing posts on Facebook, Twitter and Instagram. You take your kids to the park and start checking emails on your phone instead of playing with them. You are watching the sunset on the roof, but instead of watching it with your eyes, you look it at through your phone and take photos so that you can share them from your phone. We realized that the last thing the world needed was another app and we set off to build products that helped people live in the moment. We think people will be happier living in the present. That’s when we started building the Light Phone. We think there needs to be a balance to our connectedness. You graduated from the MDM from IIT Institute of Design in spring 2014. Tell us about your background before coming to the program. What made you decide to pursue a masters degree in design from ID? I worked as a mobile device product lead for almost 8 years before I decided to quit my job and join ID. It was a life changing moment for me. Prior to ID, my background was in industrial engineering, product design, and development as well as business administration (MBA ’06, IIT). I was tired of building products that I had no passion for. I realized that all the products I was building were soulless. Most of them were driven by technology and didn’t solve any problem because they weren’t designed for users. Then I heard about human-centered design and I knew that was exactly what I needed. It’s probably one of the best decisions I’ve made in my life. Tell us about your process for developing and testing the Light Phone concept? At first we began looking at a lot of calculators for inspiration and brainstorming different use cases. We pretty quickly came to the form of a credit or ID card because we wanted it to fit as invisibly as possible into people’s lives, and these are things everyone always has on them, so that made sense to us. We started prototyping and taping credit cards together as our first prototype. We fell in love with the form factor almost right away. To test our hypothesis that people would actually feel happier or more focused without their smart phone, we gave selected users old flip phones for them to use. One of the most encouraging pieces of feedback was a participant who said that a day without his smartphone was the happiest day in the whole month since there was no distraction from texts, alerts and notifications, and he was able to be in the present. Also something interesting that happened when we’ve tested these “light” trips with users is that when they come back to their smart phone after having spent the day away from it, they really appreciate the notifications that they come back to. It’s different than if you are just metabolizing them the second they arrive throughout the day. I think that says a lot about Light: it’s not about disconnecting forever and stepping back to the past, it’s just a break, a balance. It’s about disconnecting as completely as possible (knowing you still have a phone in an emergency) and being able to live in the moment for a little while. Whether that is as simple as a lunch break without email or a full-on camping trip excursion, we want to encourage the idea that balance is healthy and living in the moment will make us happier. It might be strange thing to say, but we are designing a device that we don’t want you to use. A clean blank piece of plastic came to mind. It also made sense conceptually that it would be blank when it’s off because the phone is supposed to be used as little as possible. There is no menu. We also felt like were creating an emotional connection between users and this clean and blank device. We want users to feel proud and special every time they choose to pick up the Light Phone and leave their smart phone at home. It means you choose to be in the present, to talk to your friends, to look at sunset, to pay attention of what’s happening around you. Did you use approaches that you learned at ID? I used everything I learned from Marty Thaler. I learned to have a critical eye and always push the design a step forward. I learned how important it is to design an object that does one thing good and solves one problem. Every time there is a design decision to be made, I ask myself, “What would Marty think?” I also do design research and insight development regularly like we did in almost every ID class. The methods allow me to quickly come to a conclusion of what do I need to do next. It is quite different when you are your own client as an entrepreneur. Can you recall a favorite project or class as a student at ID? My favorites are the advanced product design workshop with Marty Thaler and new product definition with David Sonders. We redesigned the operating room for University of Chicago Hospital in Marty’s class and approached a very complicated and unfamiliar problem with human-centered methods, and I loved it. After the project, I felt like I could solve any problem in any industry with human-centered design. David’s class introduced a very structural method to develop and execute a product concept and I find myself going back to his slides from time to time to find inspiration. The start-up world is brutal and chaotic sometimes. Those structures keep me focused so I know what do I need to do next. What are the next steps for the Light Phone once you reach full funding via Kickstarter? It’s a giant first step, but we have a long journey ahead of us. So many people believe in the vision and support our campaign, and we feel responsible to make the Light Phone as good as it can be. The immediate next steps will be hiring full-time engineers, finalizing our contracts with suppliers and carriers, and locking down the bill of material for the Light Phone. We will also need to travel overseas to kick off production with our manufacturing partners. To bring the Light Phone to life involves thousands, if not tens of thousands, of people around the world, and we know there will be challenges and risks. The Light Phone is something we both feel passionate about and are very excited to bring our backers on the journey with us. Any other projects or ideas brewing that you can tell us about? 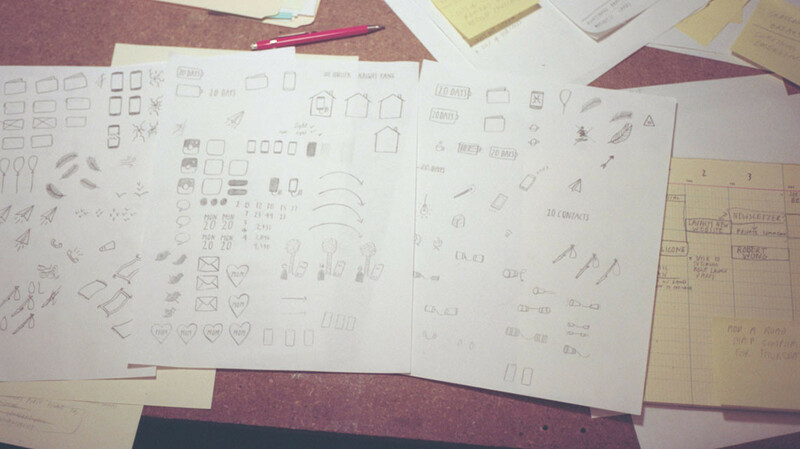 A side project we want to do while making the Light Phone is a process documentary. We not only want to use the Light Phone to encourage people to disconnect and live in the moment, but we also want to be completely transparent throughout the production process. I think most people know too little about how products are actually produced, what kind decisions we have to make as a company, and what sacrifices people have to make to bring the product to consumers. We started a process blog to document the journey, and we will keep doing it every step of the way. The thought is that if we know more about how things are made, we will appreciate it more and have a realistic expectation in terms of the cost of making things.